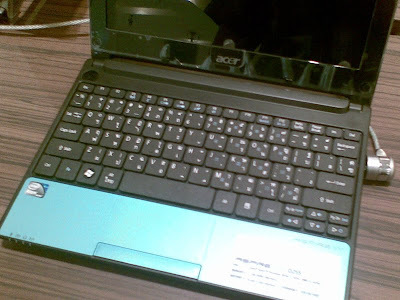 The picture above taken with my phone is way too blurry to read the spec list in the palm rest, but it's the Acer Aspire One D255 with the newfangled dual core Intel Atom N550 CPU that was just announced last week, and it's already in stores this week. 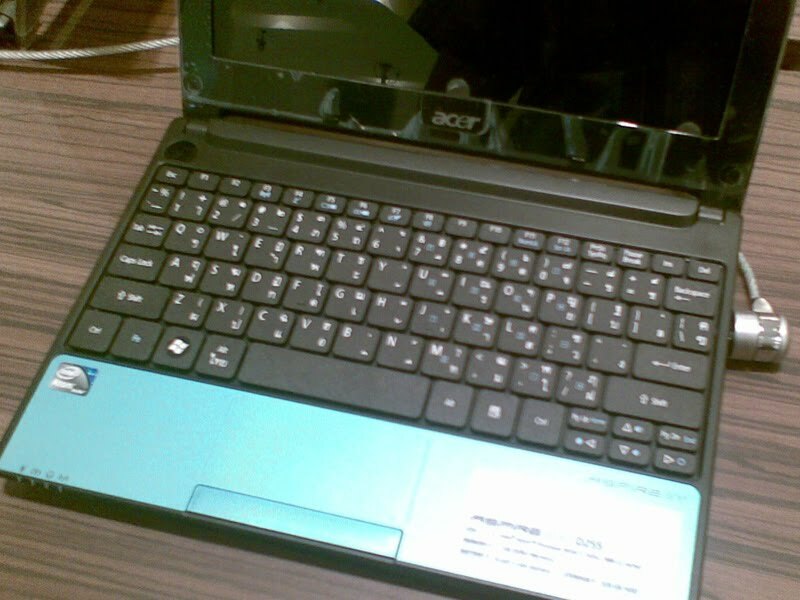 Specs are: Atom N550 (1.50 GHz, dual core), 1 GB DDR3 RAM, 320 GB HDD, 6-cell battery. No OS. For only 11,780 Baht, 7% tax included. Which would be US$375 at today's exchange rates. Three colors are available, blue, purple, and black. Stupidly enough, right next to the new D255 was the older D255 with the Atom N450 (1.66 GHz, single core), 1 GB DDR 2 RAM, otherwise identical specs, selling for exactly the same price. I asked why anyone would want to buy the older model, and the salesperson looked at me strangely and told me that 1.66 is faster than 1.50, and DDR2 is cheaper than DDR3 so it's more affordable to upgrade. Right.